Valentines Day, Mother's Day, Father's Day can be really tricky days to shop. I want to get something memorable and something they don't have, and/or perhaps something personal. Finding something like that is rarely found in Target or Walmart but I have always found a fabulous gift at RedEnvelope.com or I've simply just made it. 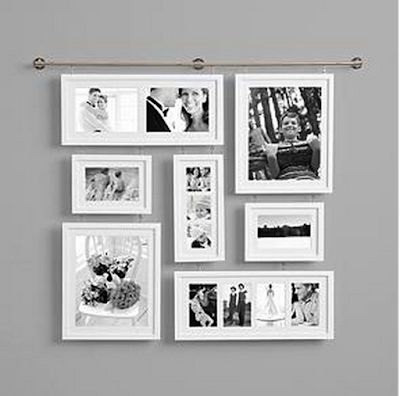 A couple of months ago I received the Deluxe Wall Gallery Frame from RedEnvelope and I knew this would be the perfect gift for my husband and our family. 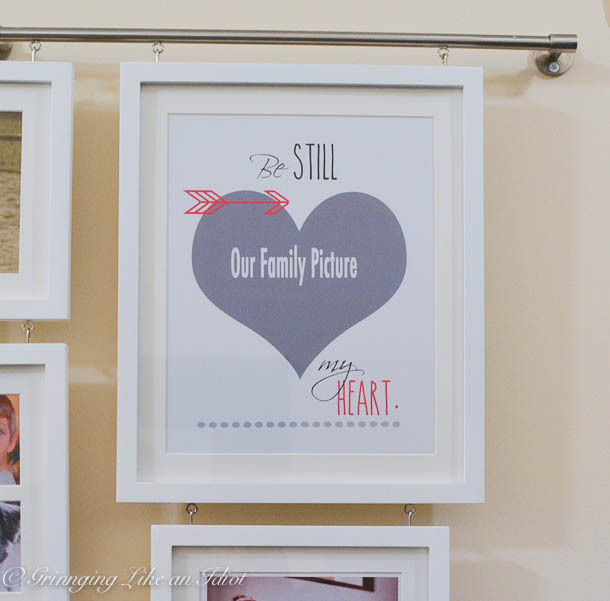 Please note: RedEnvelope provided this frame as a gift to my husband and did not ask me for a post in return, I'm doing it because I put it up and I LOVE it! Ben is away this week with limited to no access to the Internet , so I'm able to do this as a surprise Valentine's Day Present. 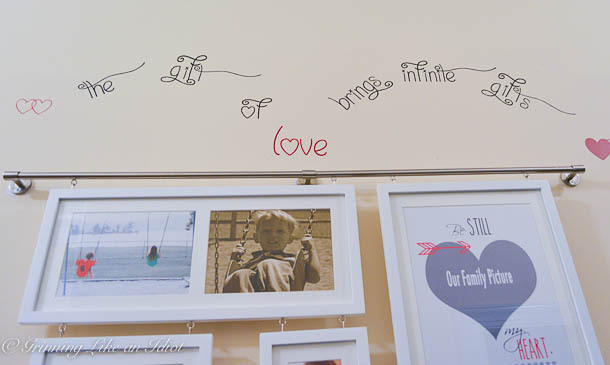 :) I put the Gallery Frame in the hallway leading to the master bedroom. I left a spot open for a future picture using this Photoshop Template that came from the Just The Bee's Knees . And some of these pictures you have seen before. The Deluxe Wall Gallery Frame is a gift that can last and show a lifetime. 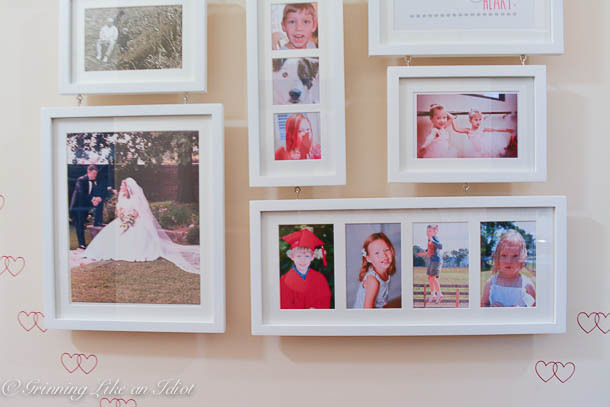 It's a perfect gift for the loved one in your life, especially if you can fill it with pictures of their loved ones (it makes it very personal and takes a lot of the work out of it. :) ) Check out some of the other great gift ideas that RedEnvelope.com has on their wedding gifts line! What was the best Valentine's Gift that you have ever been given?